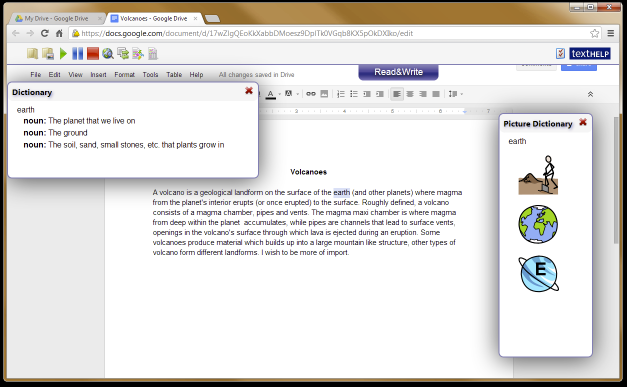 The Read&Write Chrome browser extension from texthelp.com is a great accessibility extension for Google Apps schools. It includes text to speech, a talking dictionary, a picture dictionary, vocabulary tool and study skills tools that collect highlighted selections of a Google Doc. Best of all, it is free! You can get the extension here. HT to the awesome @mmcowell. The text to speech functionality is particularly impressive, and is reminiscent of the Speak Selection or VoiceOver features found on the iPad. It has a choice of voices, and is a great feature for students who need text read aloud to them, or who would benefit from hearing their typed work read back to them for proof reading purposes. The speech to text also works on dictionary definitions of selected words. The Picture Dictionary will pop up when you highlight a word and activate the Picture Dictionary button. Even if a student has read the dictionary definition, or had it read aloud to them, the pictures can be great for helping put things in context and give some visual clues to the meaning of a word. You can even use the images from the Picture Dictionary in your Google Doc by simply copying and pasting the image. Study guides can be quickly and easily created with the vocabulary tool. Simply highlight a number of key words in a document, click on the vocabulary tool, and a new tab will open with a vocabulary table that includes the word, a definition of the word, and a number of associated clipart images. It works best, or causes the least confusion, with words that only have one meaning, but it is still a great feature to have. So, if you are a Chrome user, and you have not yet taken Read&Write for a test drive, you absolutely should. 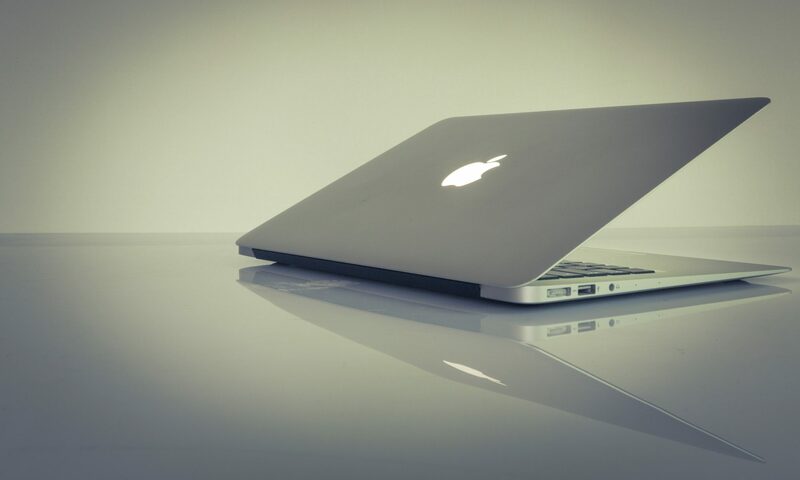 It sits, unobtrusively, in your menu bar and only leaps into action when you want it to. The video below goes over its capabilities in more detail. Feel free to leave a comment on how you could use this tool to help benefit the students in your classroom.